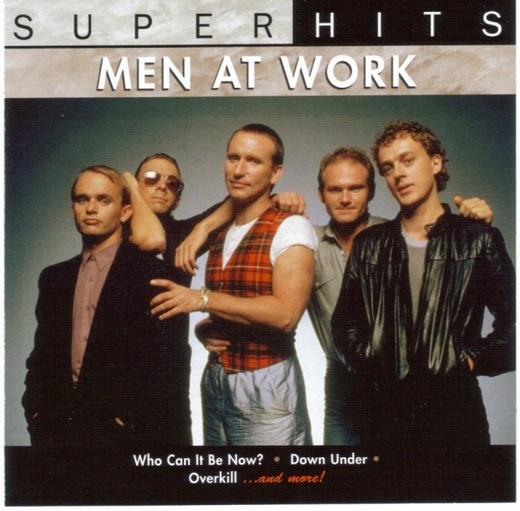 If you are a child of the 80s, then chances are you listened to Men at Work (MAW) at least once or twice while growing up. The Australian band had several hit songs in the U.S. and around the world, including Who Can It Be Now? and Down Under. Last year, Australian music company, Larrikin Music, sued MAW, claiming that the well-known flute riff in Down Under was actually stolen from a children’s song, Kookaburra Sits in the Old Gum Tree. Kookaburra was written more than 70 years ago by Australian teacher Marion Sinclair who sold the rights to the song to Larrikin before she died. As part of its lawsuit, Larrikin sought a whopping 60% of the song’s royalties from MAW. Yesterday, however, an Australian judge found that figure “excessive, overreaching and unrealistic.” Nevertheless, the judge did order EMI Songs Australia and songwriters Colin Hay and Ron Strykert to pay 5% of the song’s royalties earned since 2002. A statute of limitations barred Larrikin from seeking royalties paid prior to 2002. A spokesperson for EMI indicated that the company plans to appeal the ruling. What do you think about the judge’s ruling? Do you remember the song Down Under, and if so, do you think the flute riff was worth 60% of the song’s royalties? Even 5%? Do you have any idea what even 5% might translate to in terms of a dollar amount? If you would like to refresh your ear by listening to a few MAW songs, the band is a trending topic this morning on Yahoo as a result of the court ruling. You can also download the Down Under video and take a trip down music memory lane before deciding if the judge’s ruling is a civil “right” or “wrong.” For comparison purposes, you will also find an Australian news clip released at the outset of the lawsuit, which compares the two songs. These videos are courtesy of YouTube.